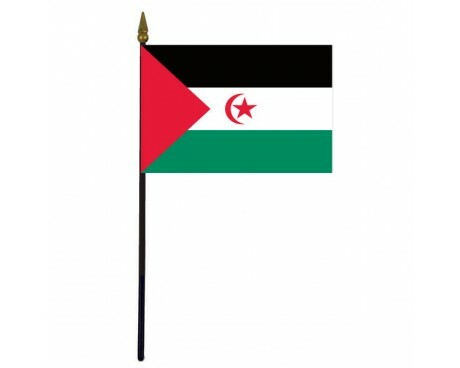 Western Sahara Stick Flag - 4x6"
The modern Western Sahara flag is the first to represent the country as an independent nation rather than as part of a larger empire, but the nation's colony history gives it a vexillological tradition that stretches back for many years. The flag of Western Sahara has almost nothing in common with the flags of the colonial period, but it does resemble many other flags in the Middle East, which allows it to serve as a symbol of the nation's choice to embrace its Arab heritage rather than its colonial history. 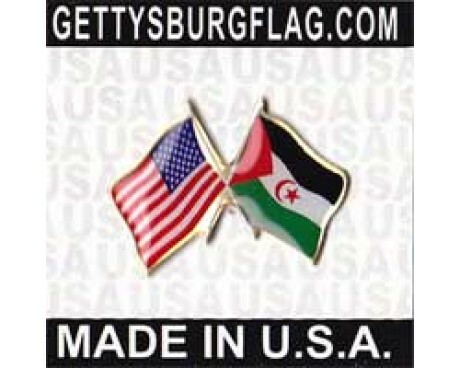 The flag of Western Sahara has a set of three horizontal stripes of black, white, and green that stretch out from a red triangle that is aligned along the hoist of the flag. A red star and crescent emblem is placed in the center of the flag in order to serve as a symbol of Islam, the majority religion in the country. The flag's colors are ultimately derived from the flag of the Arab Revolt, which makes the flag a strong symbol of Arab identity and independence from foreign rule. The colors also have symbolic meaning of their own. The black stripe represents death, the white stripe represents peace, and the green stripe represents life. The red triangle is used to represent progressive politics and the state's revolutionary heritage. The flag of Spain flew over Western Sahara for many years during the colonial era. The flag came into use when the colony was established in 1884, and it remained in use until the Spanish government left the region in 1976. The details of the Spanish flag changed several times during that period due to political changes within the country itself, but almost all of the flags were made up of three horizontal stripes that alternated between red and gold with an emblem placed near the center of the field. 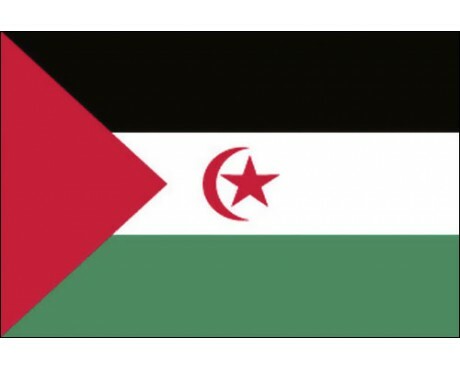 The first and only unique Western Sahara flag came into use in 1976. 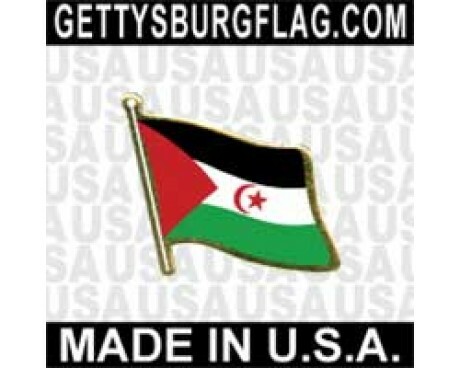 It was designed by the nation's first president, El-Ouali Mustapha Sayed, most likely by inverting the colors of the Polisario party flag.